Wallflower Photography specializes in wedding and event photography. 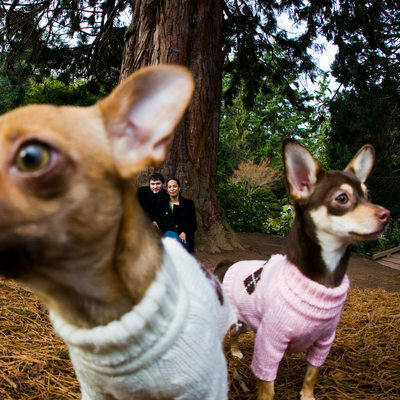 We don't bother photographing families, babies high school seniors, pets, or anything else. 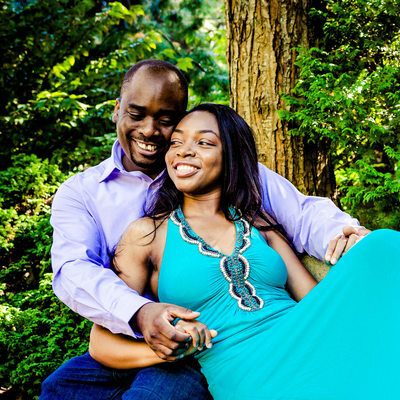 The only non-wedding photography that we offer is casual couples portraits, which most often are engagement portraits for our wedding clients. Doesn't have to be, though — we've occasionally photographed couples who were already married but celebrating a milestone, like a significant anniversary, or (since we're located close to several military bases) just before a long-term overseas deployment. 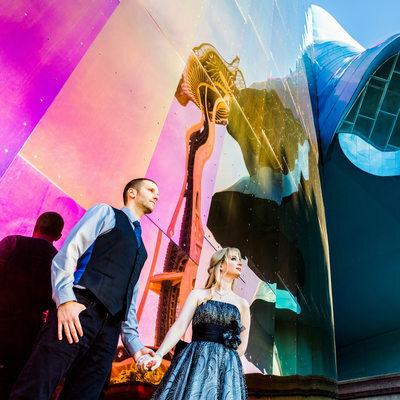 We've photographed engagement portraits for couples at all sorts of cool locations: Seattle Center near the Experience Music Project and Chihuly Garden and Glass museums. Unique Seattle parks like Gas Works Park and the Olympic Sculpture Park. Pike Place Market and Post Alley in Seattle. The Museum District in Tacoma. 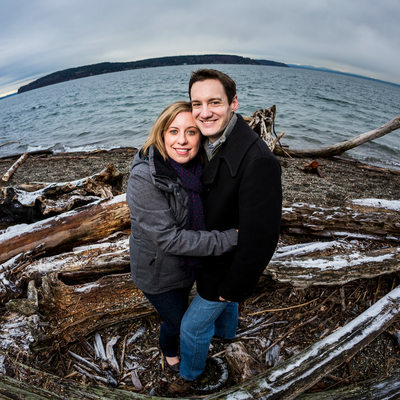 But the most popular place for shooting engagement portrait sessions is Point Defiance Park in Tacoma, which offers several different types of gardens, a driftwood-strewn beach, and acres of mossy forest. 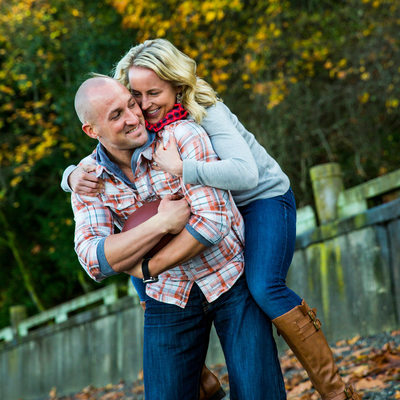 And we can do it all within a two-hour engagement session! 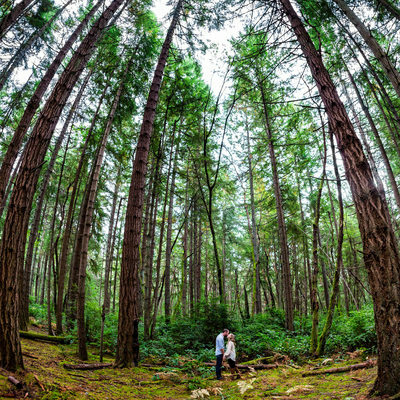 In this photo gallery, virtually every photo you'll see of a couple in the forest, on the beach, or near a pretty pond was shot at Point Defiance Park. 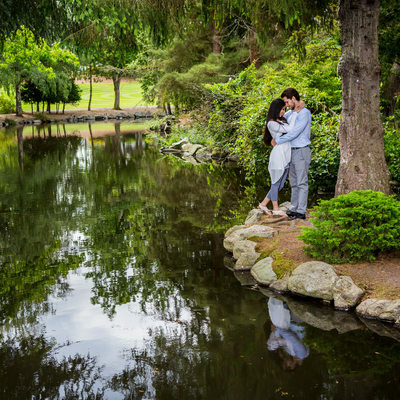 During an engagement portrait shoot, we like to cover a lot of ground to make good use of lots of different settings in the area. We use a lot of different poses that are designed to be flattering and to show your love for each other. You'll be looking into the camera for some photos, mostly smiling but occasionally serious. For most of our photos, though, you'll be looking at each other, or cuddling into each other. 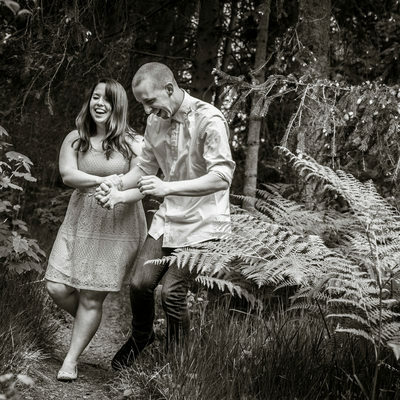 Many of our engagement portraits have a candid feel to them, and in fact they are mostly candid, but within the setting and pose framework that we established. 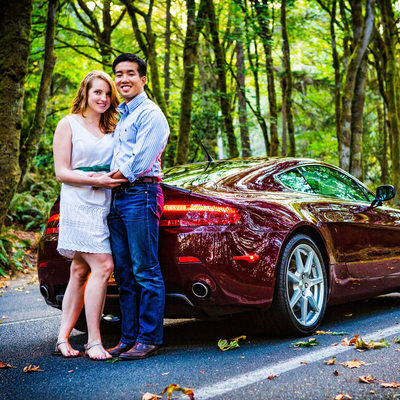 Most engaged couples use their favorite engagement portraits in their save-the-date cards, and sometimes in their wedding invitations as well, and even Christmas cards. 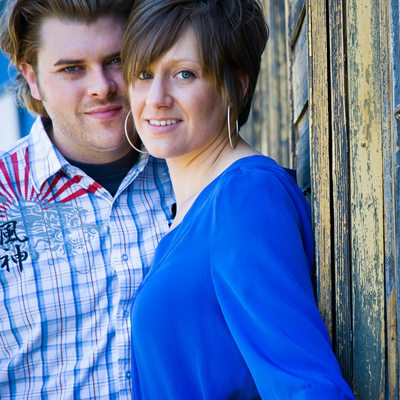 They share them on Facebook and through their wedding websites. 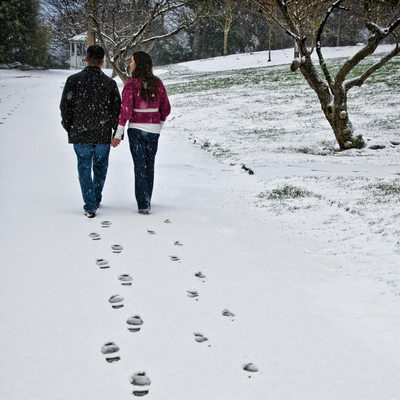 Prints from engagement sessions make great Christmas presents. 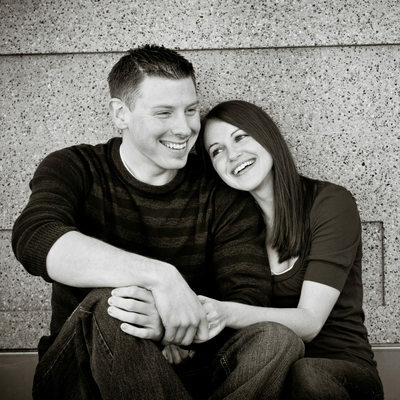 We offer a wedding guestbook filled with engagement portraits that is a best seller, and couples sometimes also set up displays of engagement portraits at the entrance to their wedding venue, by the guestbook table or gift table, and in slideshows projected during their wedding receptions. 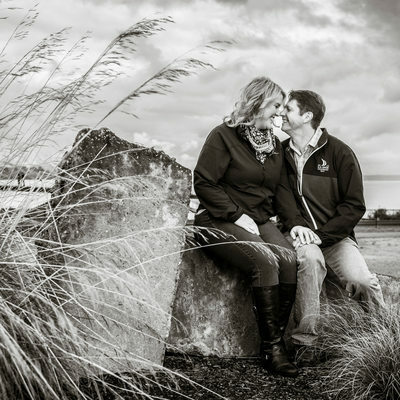 In addition to getting a set of great photos, many engaged couples benefit from the experience of working with their wedding photographer and getting used to being in front of the camera. 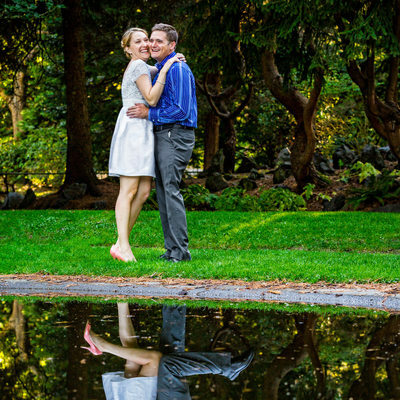 It's like a warm-up, or an ice-breaker, that can result in real benefits on the wedding day. 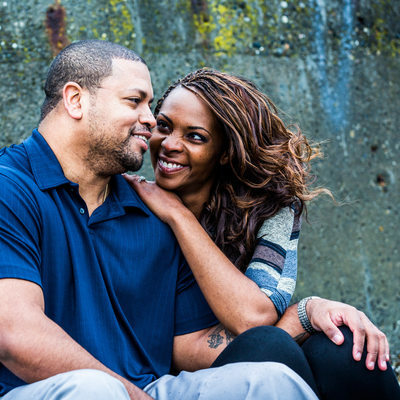 If you feel like you're going to struggle with being uncomfortable posing for us, an engagement portrait shoot might be a wise idea. 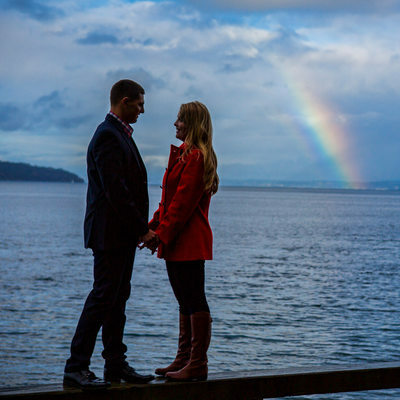 Enjoy looking at our favorite engagement portraits!